We once again take the opportunity to thank Charles Simpson for kindly preparing the report below in the absence of an official KSC effort. 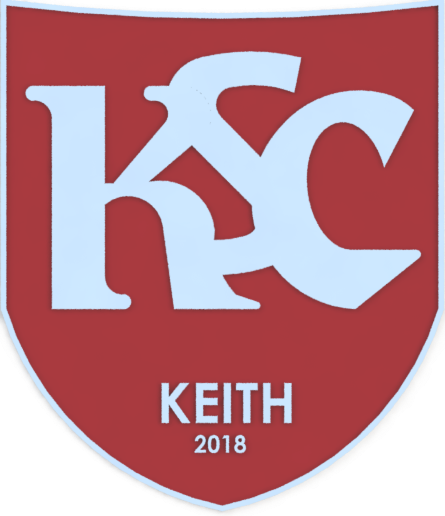 Despite playing 37 minutes of the second half with ten men, a plucky Keith outfit ended up exiting from the Aberdeenshire Cup in midweek. This all action cup-tie was full of thrills for the spectators, but it was Turriff who advanced into the next round once the dust had settled. The Maroons went ahead inside two minutes with wee Craig Macaskill hammering the ball into the roof of the net via the crossbar from 15 yards. It was all square within six minutes when slack marking saw Michael Ironside capitalise, slamming into the roof of the net from eight yards. Chances abounded at both ends, and Turriff got their noses in front in the 31st minute. A headed pass back from Macauley Rae was pounced on by Ironside who ran in to clip the ball beyond Simpson. The Maroons hit back with Hutcheon, Selfridge and McAllister all going close. The homesters were reduced to ten men eight minutes after the turnaround when Ryan Keith received a second yellow card. This prompted the Maroons to make two substitutions with Jamie Lennox coming on for his 250th competitive appearance. Try as they might, the brave ten could not get that elusive leveller, and went down fighting to the end, showing grit and determination as well as skill without getting a just reward. KEITH – Simpson, Hutcheon, Smith, McAllister, Rae, Keir, Macaskill(Norris 57), Brownie, Keith, Barron(Lennox 57), Selfridge. Subs unused – Robertson, Cowie, Young, Stewart. Referee – Mr F Mazzoni.